SOUTH PADRE ISLAND — It was 30 years ago already. 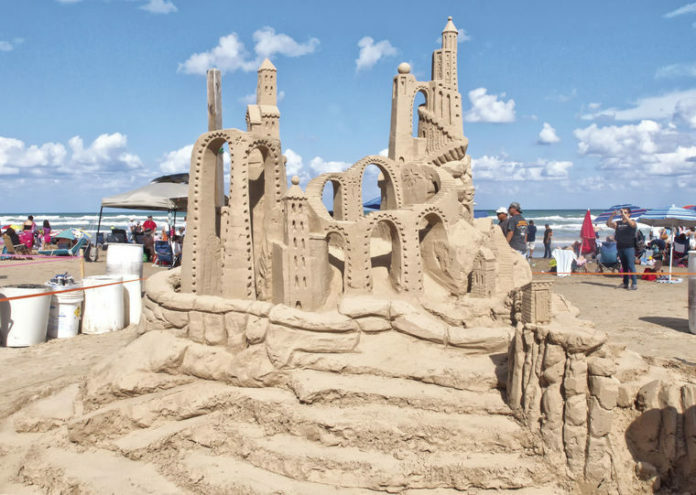 That’s when master sand sculptors Walter McDonald (aka Amazin Walter) and Lucinda Wierenga (aka Sandy Feet) started Sandcastle Days as a way to show off the magical sculpting qualities of SPI sand. The purpose also was to bring awareness to protecting the coastal shores. And the event is stronger and bigger than ever. There was a reason the event was started in October. Wierenga says it is key to keep the beaches clean and the sculptors hope their efforts make a difference. Over the years, this free event has grown from a local celebration to a qualifying event for the World Championships of Sand Sculpting. This year’s event boasts two more sculpting teams, live music, art booths and great food. This year, there will be 12 professional teams, that is more than the 10 in previous years. The west coast will be well represented along with teams from Canada and beyond. It is one of the longest-running festivals of the country for sand sculpting. They are proud to have been involved in every single one of those 30 years, Wierenga says. If you miss the event this weekend, Wierenga said, don’t fret. Registration Open – Amateur competition includes: Kids, Family, Groups and Singles 1 to 5 p.m.
>> Master Sand Sculpting competition final day! >> Amateur Registration open at 9 a.m.
>> Unlitter Campaign 8th Annual Trash & Show at 4 p.m.
>> People’s Choice Awards at 3 p.m.